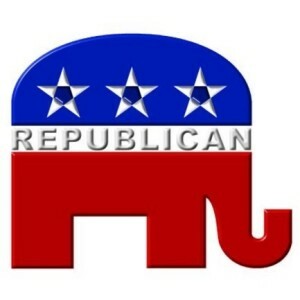 A long running Republican event will be especially festive this year for Missourians. After the GOP swept all statewide offices in play last November, Lincoln Days presents a long awaited opportunity for party faithful to bask in the glory. Republican state Party Chairman Todd Graves thinks seizing the state’s top seats from Democratic control has been liberating. Republican dominance in the Presidential and statewide elections in November was undeniable. Donald Trump carried the state by a 19 percent margin with Missouri candidates seemingly riding his coattails. The most lopsided state race was Jay Ashcroft’s 19 point win over Robin Smith for Secretary of State, followed by Eric Schmitt’s 18 point victory over Judy Baker for Treasurer. Attorney General Josh Hawley beat Teresa Hensley by 17 points, while Governor Eric Greitens’ victory over Chris Koster was by a comparatively small margin of 6 points. Greitens’ appearance tomorrow at Lincoln Days is drawing the most attention at this year’s gathering, which is taking place in Springfield. The event rotates every year between Springfield, Kansas City and St. Louis. U.S. Senator Roy Blunt, who grew up in the Springfield area, is hosting a breakfast Saturday morning. He was instrumental in arranging for two other senators to appear at this year’s Lincoln Days – Thom Tillis of North Carolina and James Lankford of neighboring Oklahoma, who is the keynote speaker Friday night. Graves, a former U.S. attorney and the brother of U.S. Representative Sam Graves of northwest Missouri, says Lincoln Days is a convention style gathering of activists who’ve been waiting to celebrate. Graves was elected last month to replace the retiring John Hancock as head of the state Republican Party. Although this year’s Lincoln Days will be decidedly upbeat, Graves remembers years when the gathering was a much more somber event. “24 years ago we had a very a very tough election, and it’s a bit like a funeral. Here it’s like a wedding.” Former President Bill Clinton led a surge of Democratic dominance across Missouri in 1992. The entire Republican delegation to Washington is expected to attend this year’s Lincoln Days in Springfield. Graves thinks protesters are likely after demonstrators rallied over Congresswoman Vicky Hartzler’s failure to hold a town hall earlier this week in Columbia. This year’s event should also feature hopeful nominees for next year’s senatorial race against Democratic incumbent Claire McCaskill. “There’ll be candidates in the hospitality suite who’re starting to float their names, gauging their support” said Graves. Lincoln Days takes place Friday through Sunday morning at the University Plaza Hotel in Springfield.